VW Passat 2.0 TDI, 98k black with cream cloth interior, FSH, just passed MOT. Good on fuel and cheap to run. A few Mark's and scratches are typical for the age of the car. RIP in driver's seat. Left rear passenger window stopped working. - Starts - Airbags OK - Cheap Easy Fix! Nice Spec! 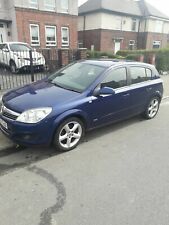 Vauxhall astra 1.9 cdti design 150bhp 2008 the car is still in use but does require a new fly due to vibration from engine no lights on dash and no there faults pull like a train in all gears smooth gear box no nasty sounds so is just fly wheel. Electric windows. Car is very clean inside out. superb driving no issues from engine gearbox or electricals. everything working as it should. Power steering. Alloy wheels. Child seat points (Isofix system). BMW 528i manual in green. Really great solid, powerful car drives and handles as a BMW should. Engine runs sweet with no smoke or nasty noises and no leaks. Gets up to temperature fine and rad fan kicks in as it should. Bodywork is in good shape although would need a slight repair for mot. Rear arches are the best I’ve seen on a clio 16v. 99p START . Rear Folding Bench Seat With Seat Belts Which When Folded Up Leaves You Virtually The Whole Back Free. Alloys In Good Condition. Lowered On Coilovers. I have for sale my very well looked after and well maintained Volkswagen Passat Sport 140 2.0 TDI. Engine bay is immaculate. Premium quality NGK glow plugs x 4 £120. All servicing is fully stamped up in the VW service book. 2006 FORD FOCUS 1.6 TDCI SPORT DIESEL HATCHBACK, 1YR M.O.T, 110K MILES,ALARM-DECENT CAR! Clean engine full of life from the 1.6l turbo diesel engine which is both economical and cheap to maintain. The car drives very well with smooth gearchanges from the manual gearbox.superb drive with no rattles or clonks. ELECTRIC MIRRORS,10 MONTHS MOT. LEATHER SEATS,ALLOY WHEELS,A/C,CD CHANGER,TINTED GLASS,REAR SPOILER. ITS A STUNNING ESTATE CAR, BEAUTIFUL COLOUR, YES THERE IS A FEW MARKS AROUND IT WHICH YOU WOULD EXPECT FOR THE YEAR OF THE CAR. Recent service 04/04/19. Full service history. 4 fairly new all weather tyres plenty life left. Good condition inside and out, Rust free! Astra 1.3 cdti. deep scratch on drivers wing dent on rear drivers arch and usual scratches all round just being honest but drives lovely. drives great, no knocks or bangs. Vaxhall astra 1.6 design. Looking for around £850/£900. This is a much loved Vauxhall corsa energy in flaming red. Genuine Vauxhall corsa mats as you can see in pictures. Heated steering wheel. Apple car play. Full service history logbook handbook are all present Only one previous owner. VW LUPO 1.4 16V AUTO, ONLY 7900 MILES! IMMACULATE!! Here is my really nice Lupo 1,4 Auto. it"s only done 7900 miles, it"s totally genuine and obviously because of the mileage it drives and looks and feels like a new car. Because it"a VW it has the solid, feel and build quality which makes these cars such a good buy.the engine is smooth, the ride is perfect everything works and feels like it has just left the factory. Cash on collection. Have the Rights to remove as advised else where. Great car around. Excellent runner. Ford Fiesta van 1.4 diesel 2009. My first car for the last 7 years. Will make a great first car. Miles 123k. 4 months MOT left. Has been serviced yearly and been looked after probably. Runs like a dream with no concerns. Not immaculate as it’s getting on a bit but still looks great. Had new MOT 15/11/18 so still 8 months ticket left. So it’s ready for the sunshine, power hood works perfectly and tyres all good. 1.5 TDCI DIESEL. 2017 17 REG. FORD FOCUS TITANIUM. NOW FULLY REPAIRED USING GENUINE FORD PARTS. TOTALLY IMMACULATE INSIDE OUT. TOTALLY SUPERB CAR. FIRST TO SEE WILL BUY. TO BE SOLD WITH FULL INVOICE AND THE V5. VW Beetle with great body work - see photo's which has been looked after very well by its previous owner but does need a good valet and TLC - happy to do this if I get near my price. Only done 101,000 miles with full stamped service history, 2 keys and all manuals. I've got it 3 years and spent a lot of money for it. Recently I've done MOT test with no advice and is valid to April 2020. Millage is 106000. For sale my fantastic golf mk5 in very good condition. Advertised elsewhere so could be withdrawn at any point. VW URBAN FOX 55 1.2 NEW MOT 2 KEYS 69 THO LOW INSURANCE . REDUCED !!!!! READ THE ADD IN FULL IT IS VERY LOW . For sale 730D Sport 2003. MOT still April 2020. Since a have the car change 2 year oil ,every year full service. Runs smooth,no knocks on the gearbox. I swap one off the modules but needs to be coded I beam told that the reason the air bag lights is on. Vauxhall Corsa Energy 1.2 16v - 3 Door - Red. Only 40000 Miles. In very good condition inside and out. Alloy wheels in very good condition with 4 recently fitted new Firestone tyres. Excellent first car for young driver. Ford focus s in nice clean condition inside and out with lots of service history. Electric windows in front. Central locking. Air con etc. 3 keys MOT til June. Light marks only age related. 4 like new tyres. Don't know service history or owners only had for 7 months. 2002 RANGE ROVER 3.0 TD6 HSE DIESEL AUTO IN SILVER, BARGAIN BE QUICK !! VW Passat 1.8 turbo. One opener from new. Cash in collection. Lots of history with the car as well.